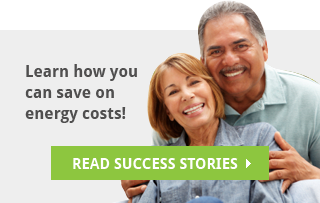 Schedule a Free Insulation Consultation Now! If so, your home may not be insulated properly. Schedule a FREE insulation consultation today! 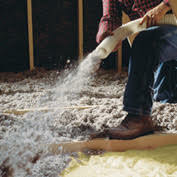 Insulation is one of the most important tools you have for managing your home’s overall comfort and energy consumption. 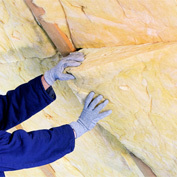 Being able to determine how effective different types of insulation are is essential in choosing which type to use. The purpose of insulation is to stop the transfer of heat and each type of insulation has a rating of how well the material resists heat flow through it. The higher the R-value, or resistance value, the greater the material resists heat flow, therefore the greater it’s insulating capability. Combing the high R-Value per inch of Spray Foam Insulation with it’s extremely low air filtration properties you can achieve a thermal envelope that is superior to more traditional forms of insulation. Investing in Spray Foam insulation will generate significant long term savings on heating and cooling costs over more traditional insulation methods. Reduce heating and cooling costs significantly by great combination of R-value and reduction of air filtration. No more hot and cold zones – by controlling the air filtration you will experience a consistent comfort in your home. 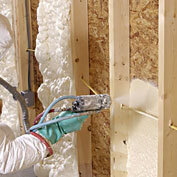 Adding insulation to your home can be quick and clean. In many cases, installation can be performed in a single visit. 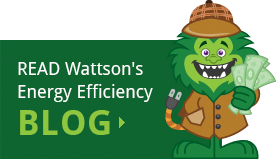 Florida residents, find out how well your current insulation stacks up by scheduling an Energy Audit today. Just because your home is new, doesn’t mean that it’s insulated even close to properly! 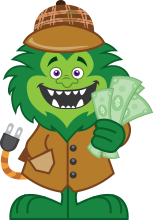 If you live in the Tampa area, Energy Monster offers a no-cost, no obligation spray foam insulation consultation. 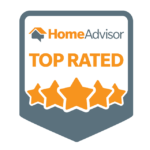 Schedule Your Free Insulation Consultation Today!